My Place Germantown is a Pennsylvania not-for-profit with a mission to reduce homelessness in the Germantown section of Philadelphia by providing permanent supportive housing for disabled homeless individuals in a community-based setting. Educator Mary Ellen Graham became involved in social work at an age when most people consider retirement. After volunteering at a homeless shelter, Graham was inspired to leave academia in order to serve the poor full-time. It was in 2007, while working as a case worker at St. Vincent DePaul’s health care center, that the specific difficulties her middle-aged male clients faced gave birth to the idea of My Place Germantown. Graham believed the poor conditions her clients were living in undermined the health center’s work. “When the housing isn’t stable, medical routines aren’t consistent.” She made it her mission to create housing that would be an appropriate option for these hard-to-place individuals. After sharing her dream with fellow parishioners at Germantown’s St. Vincent DePaul parish, Graham received an enthusiastic response. 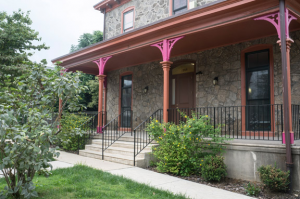 When St. Vincent’s decided to sell its convent dating from the 1860’s, and Community Ventures, a non-profit developer of low income housing agreed to partner as the developer, Graham was able to set about making the dream a reality. The location was perfect for her clients at the health care center who considered the neighborhood their home. Germantown residents, however, were initially skeptical of the project and blocked the rezoning effort. Founding board member Tom Volkert, convinced of the value of the project to the community, agreed to chair a neighborhood advisory committee to involve and inform neighbors. Today, both MPG residents and neighbors have representation on the advisory committee. 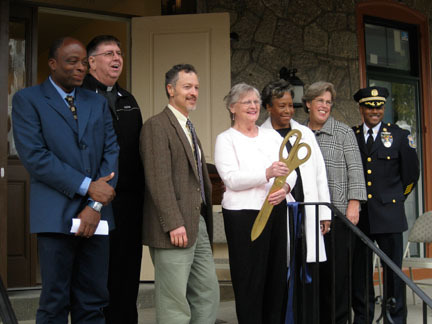 In 2010, after a total renovation of the building, the first tenants began moving into the 12-unit residence. In order to qualify, each resident must meet two requirements: he must have a certifiable disability and have experienced a recent bout of homelessness. Two of the apartments are wheelchair-accessible while one has been retrofitted for the visually or hearing impaired. Each resident signs a lease and pays an affordable rent. Although the residents live independently, they benefit from support services and the presence of around-the-clock staff. In anticipation of Mary Ellen Graham’s retirement as Executive Director in 2015, a study was conducted to plan for the future of My Place Germantown. It was determined that forming a partnership with a larger organization with a compatible mission would be in the best interest of MPG. A service agreement was entered into with Horizon House to assume program and maintenance operations at the site, with the goal of eventual merger. MPG remains responsible for administering its HUD grant and raising the matching funds required by the grant. MPG and Horizon House represent the best in human services and are both committed to constant assessment and improvement. This match for MPG promises to continue Graham’s original mission of providing affordable housing and support services to a vulnerable population in a small community-based setting. 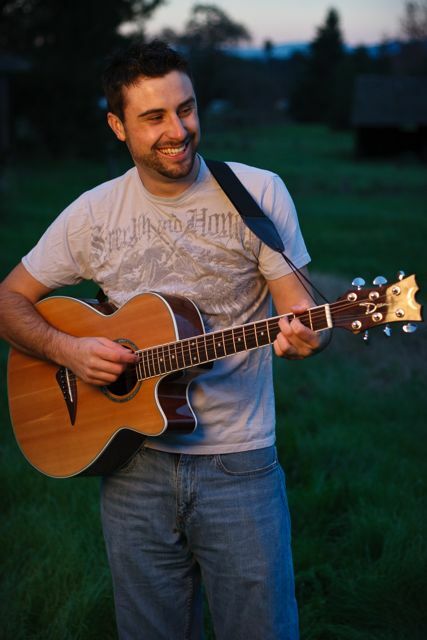 Singer-songwriter Bobby Jo Valentine returns to Philadelphia! Bobby is a successful recording artist—he’s released five albums that demonstrate his musical gifts and he has won several music industry awards. He writes his own songs—a mixture of folk and pop styles. At his concert he will be featuring songs from his new album, Maybe Stars! Bobby was last in Philadelphia in January 2015. He’s well known in his home state of California. His following has continued to grow on the east coast and we were lucky to get him to add this date on his east coast tour. The concert will benefit My Place Germantown, a non-profit organization that provides permanent supportive housing for disabled, formerly homeless males. To get reacquainted with his music, check out his webpage: http://www.bobbyjovalentine.com or his iTunes page. I imagine you will be taken with his music—as I am. I would love to have you attend. COST: $20 (advance sale) or $25 at the door. Tickets are available for sale now. Third Annual MPG Trivia Night: Saturday, October 12, 2019. Details and Registration will be available in mid-summer. Your individual and corporate donations are crucial to our continued success! MPG’s holistic approach to transitioning the disabled homeless into productive, healthy, self-sufficient lives is made possible by the generosity of the extended MPG community. Funds we receive go toward maintaining our 12-unit residence, providing supportive programming for the residents, and fulfilling our HUD matching requirement. My Place Germantown, Inc. is a non-profit 501-(c)(3) organization. MPG is on the United Way donor option list – number 45965. MPG is a United Way donor option– number 45965. Thank you to all of our funding partners! Such items may be dropped off at MPG during regular business hours. Donations may be made by check (payable to My Place Germantown) or by credit card via PayPal. Use the DONATE button below to take you right into the My Place Germantown Paypal donation page. My Place Germantown, Inc. is a non-profit 501 (c) (3) organization. Donations are tax-deductible to the extent allowed by law. The official registration and financial information of My Place Germantown may be obtained from the Pennsylvania Department of State by calling 1-800-732-0999. Registration does not imply endorsement. All resident applicants must be referred by the Philadelphia Office of Homeless Services. Applications must document recent homelessness and a certified disability. The target population is individuals between 45 and 60 years of age, who have shown evidence of capacity to live independently. Additional information on the application process is available by contacting Andrene Grizzle, Program Manager, at 215-848-2892. The housing consists of 12 efficiency apartments with kitchenettes, full closets, and private baths in a renovated historic building. Two units are wheelchair-accessible and a third is accessible for the hearing and/or visually impaired. Features include a spacious community room, laundry facilities, an exercise room, a front and a rear porch, and a large yard. Residents pay an affordable rent. A Program Manager and three Resident Support Specialists provide support on-site 24 hours a day, 7 days a week. The staff assists residents in job placement, access to health care, and in making connections with resources in the Germantown neighborhood. In October of 2015 My Place Germantown entered into a service agreement with Horizon House to assume program and maintenance operations at the site. This was the result of a year-long study to plan for the stability and future of My Place Germantown. So far the transition has been smooth and the staff and residents are very positive about its benefits. The connection has allowed staff to have more training and support. See the Annual Report and Newsletter links below for more information. We are now part of an additional coalition – the Germantown Systemic Change Initiative – an umbrella organization set up to foster networking and collaboration among organizations in Germantown. Please indicate below if you have an alternate means of being contacted.